Coach Tomeo resides in Jackson Center Pennsylvania As a youth Tom was a 7X J.O. place winner and a 3x champion. In high school, he was a four time place winner and a 2X PIAA Champion, winning once in AA and one in AAA. His High School record was 143-8 with only one loss after his freshman year. Tom's performance earned him a spot on the Dapper Dan Wrestling Classic team, where he defeated 172-0 in high school and future NCAA champion Jeff McGinness of Iowa City, IA, 6-4. That win earned Tom the Outstanding Wrestler Award. Tom matriculated to Clarion University, where he studied Biology. At Clarion Tom was a two year Captain, a 3x NCAA qualifier and in 1998 a NCAA Div. I All American. Tom went on to coach collegiately at Slippery Rock, Cumberland, Buffalo and Clarion. Tom moved on for 2003-2005 to become the Woman's Resident Coach and National Development Coach at the Olympic training center in Colorado Springs, Colorado. In addition, Tom had been a coach for the Sunkist Kids Wrestling Club. Tom also had the privilege coach his sister, Erin Tomeo, a 2x World Team member and who won over a dozen national freestyle titles. His sister is now a coach at the Olympic Training Center for the U.S. Team. In 2004 Tom was a coach for the U.S.A. Olympic Team in Athens, Greece, which was highlighted by the first ever awarded Womens Wrestling Olympic Medals and the Gold Medal performance of Cael Sanderson! 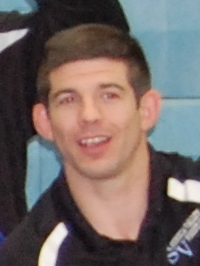 Recenly Tom has been a high school Head Coach, a Team Consultant for seveal teams and a Private Coach for many wrestlers. 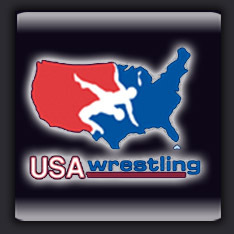 Coach Tomeo has also developed the T3 Wrestling Academy and the T3 Wrestling Club for over a decade. Tom has an outstanding and extremely supportive wife Anna and an awesome 3 year old month old daughter Emma! He has a passion for traveling, fishing, hunting and outdoor recreation! division II school in the PSAC Conference. 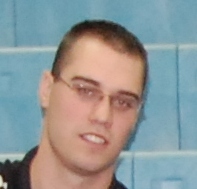 In 2004, Coach Herrick became a High School Referee, being promoted to varsity status after only one year of experience. He continued as a referee for 5 years until relocation to Cranberry Township, Pa for work. Still having a passion for the sport, he pursued an opportunity to coach with Tom Tomeo and the Seneca Valley Varsity team. He has continued to work with Coach Tomeo for the last 2 years running T3 Camps and Club practices. Coach Herrick is now our Director of Competitions. A growing number of T3 Athletes have placed and won state, regional and national level competitions! Coach Herrick looks forward to working with the wrestlers in T3 Wrestling and developing Champions both on the Mat and in Life.